Productions of vinylester acid tanks continue. 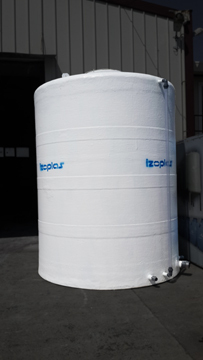 For acid stocking in a certain concentration rate and tempature, vinylester acid tanks will be solution partner. 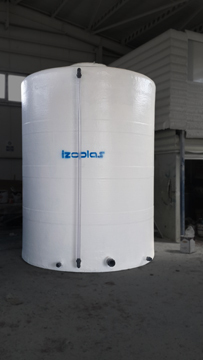 Acid tanks productions are supplied as project-focused. Production capability with alternative dimensions increase preferable of these tanks. Vinylester resin has a high resistance for acid with a certain concentration rate and tempature. You can see the resistance table on attachment. 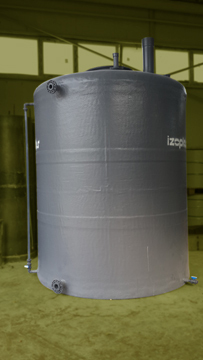 Vinylester tanks are more useful comparison with to plastic chemical tanks. Also they are cheaper comparison with stainless tanks. Vinylester tanks’ useful life is so long. If you can use it according to instructions, there will be no problems. Also tanks are repairable. It is so important for a tank. Even if you have any problem except of warranty process, you can repair it easily. We can connect outlets and inlets where you want on tanks in all dimensions. Also we can supply special equipments like cleanable level gauge, lifters, serpentine ext., too. 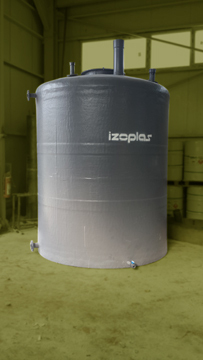 Last week we produced vinylester tanks for ISBAK A.S. and Uyguner Co.
Production will be made for ISBAK A.S. Tanks will be used for stocking of solution. Tanks have a special level gauge, 3 pcs. PVC outlet connectors, 2 pcs. lifters on it. 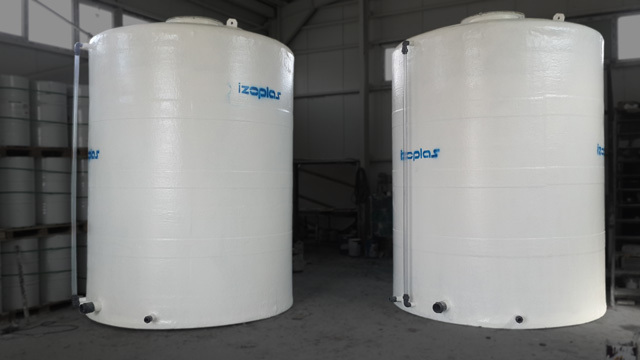 12m3 acid tank is produced for Uyguner Co., in Istanbul. 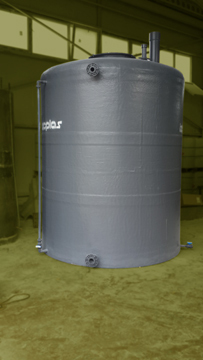 Tank is used for reactor tank. Water’ ph value will be decreased with %10 sulphuric acid. Working tempature will be 80ºC for tank. Don’t use your tank except of specified chemical. Also conceration rate and stock tempature is not to be exceeded the specified values. 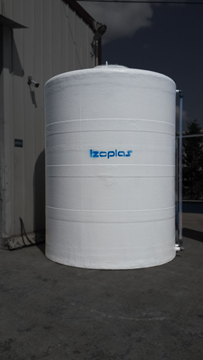 Install your tanks on a flat concrete ground. Don’t interfere with any driller or cutter materials over tanks. Please test your tank with water against to defections during transport. If you confront a problem please contact with responsives.